Several layers of ultrafine silver glitter are fixed to the roller skate Sure Grip Rock plate and on the edge of the Flaneurz’ chassis. The set is congealed by a manually applied lacquer. 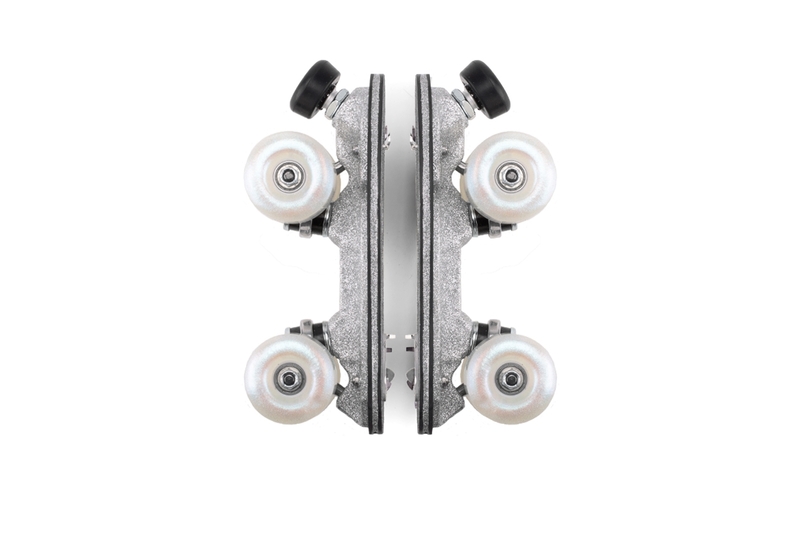 Developed by a reference brand in the field of inline skate, Luminous wheels in pearly and translucent polyurethane contains a miniaturized dynamo system feeding light-emitting diodes lighting up the outside of the wheel. Bearing type: Lubrificated steel chrome 608 ZZ ABEC 7. VEJA was founded in 2004. The brand offers sneakers models borrowed from the volley-ball world of the 80s, as well as bags and accessories. Their products reflect their spirit : fair and sustainable. Products' components are chosen and partnerships are established so as to limit environmental impact. 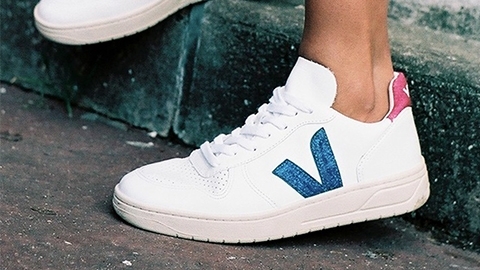 The V-10 model was introduced to celebrate VEJA’s 10th birthday. This model is made in Brazil, out of ecological and sustainable materials. Glitter V-1O is adorned with touches of cyan on the side logo and magenta glitter on the back logo. Everything springs from a spark, energy and city lights’ flash point. Cocktails tangy twists Bengal lights smoke, and electric light filters subdues eroticism vibrations. Wheels’ Pearly white blows up, glittering brightly: making Flâneuse’s road glows. Music becomes an accomplice, highlighting the elegance of the motion. The atmosphere is seducing, embellished with magenta and cyan radiances. In its lighting setting, Capsule glitter rolls, leaving stars dust clouds in its wake.